When Stan begins questioning the purpose of painting eggs at Easter, he ends up uncovering the truth that his father is part of an underground following, a cult who believe Saint Peter was a rabbit. Stan is invited to this cult, only for the Pope to kidnap and cage the followers, so it’s up to Stan to rescue his dad with help from Kyle and Jesus. With South Park already having satirised Christmas many times, Easter seemed like the next step, and this plot is exactly what I’d expect from the show when it started doing it’s “Secret Conspiracy” story formula. I think this maybe one of my favourites for this type of episode, because the story is really strong, as you can tell that Trey & Matt thought hard about an Easter conspiracy. I can’t argue that maybe some Christians believe Saint Peter was a rabbit, so while this theory is made up, it’s actually easy to take in, being far less far fetched than other conspiracy episodes, and I think that realism is what engages me in the story. I mean, if this cult did exist, I’d totally buy that they’d be an enemy of the Catholic church, considering that they are denouncing the integrity of the pope, so it makes narrative sense to make him the antagonist. While this is one of the more grounded conspiracy theory episodes, it still has a sense of humour, it is South Park after all, jokes are a plenty here. Seeing the cult dressed as bunnies, while taking their beliefs very seriously, is a gag that manages to last the whole episode, maybe because rabbit ears are inherently funny. As always, it’s also funny seeing Stan being caught up in adult pettiness, while he simply wants answers to questions, because he’s a growing boy who wants to better understand the world. South Park is renowned for it’s attacks on corrupt authorities, this episode is no exception, taking a huge bite out of hypocrisy within Religious communities, mainly targeting the Catholic church (who have been often accused of hiding dirty secrets, while preaching for people to be good). In this episode, even though the Catholic church are open Christians, they go to violent and sadistic lengths to keep power, bending the rules to justify their crimes, even when Jesus himself steps in to defend the cult’s claims. Speaking of Jesus, he was an awesome addition to this episode, being soft voiced and kind, but also not afraid to make sacrifices and look like a badass. It’s also really funny, when he asks Kyle to kill him to trigger his resurrection power, so that they can escape a prison cell, the way that the scene exaggerates Jesus’ death to guilt Kyle is laugh out loud black comedy. Before he faded from relevance in “South Park”, Jesus was one of the only adults who actually made sense, he also had a super hero appeal to his character, plus his plot lines often developed him into a relatable self reflective character. It’s a shame that Matt and Trey forgot about him as time passed on, but I guess Satan took over his role in newer seasons, which I can’t complain about as I love Satan’s character. To Conclude, the title of this episode really fits, it IS a fantastic Easter special, a must watch for South Park fans on this Easter Sunday, I really recommend it. While you’re here, feel free to subscribe to my website to be informed about all my new text reviews and blogs! 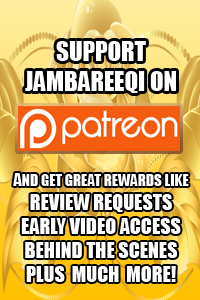 Jambareeqi.com contains lots of reviews in the writing tab above. Only a week or so after releasing their “Dumbo” remake, which is underperforming at the box office, Disney have randomly released a brand new official trailer for their new live action remake of “The Lion King”, surprising fans everywhere with an expanded vision of what Jon Favreau has gone for. Much like with the teaser though, there doesn’t seem to be much to the film that’ll separate it from the original movie? There’s a lot of shot for shot reenactments, with the only changes being photo-realistic looking animals this time, begging the question why the film is even necessary. It’s just hard to 100% believe Sean though, when a huge majority of the clips in this trailer, are trying to directly replicate classic images or shots from the 1994 film, in a sneaky attempt to draw audiences in through Nostalgic triggers, maybe even more so than previous Disney Remakes. The emotional manipulation is most evident in the re-use of Hans Zimmer’s beloved music score, a soundtrack that will get Disney fans excited no matter what, you can put his music to anything and it’ll tug at audience’s heart strings. This is a score that audiences associate with sentimental iconic scenes that made their childhoods special, it’s an easy tool for making the trailer’s viewers feel something strong. The photorealistic animals are impressive to look at, I won’t deny that, but I can’t really see much emotion in these character’s faces, this is due to the extreme efforts to wow audiences with Disney’s CGI technology. Yes, animals are inherently less emotive than humans, so this is realistic, but it’s not exactly a wise creative choice when attempting to recreate a very dramatic and emotional animated movie. I remember Jon Favreau’s “The Jungle Book” using hyper-realistic looking animals, but you could at least read some subtle emotion in the faces, they could look expressive through simple nuances, without ever looking too eerie or uncanny. So it confuses me why this remake seems to lack those details? Maybe Disney are being more insistent on authenticity than soul? Or perhaps the trailer isn’t showing these animals at their most characteristic. Scar at least looks and sounds great, seeming way more menacing than Aladdin’s fluffy soft voiced Jafar, but fans are cross that he doesn’t have a black mane, which is something I’m not THAT bothered about, as Scar’s only real important physical feature is his… well… scar haha. If you’re excited for this Lion King remake based on the new trailer, then all power to you, but there’s not much here for me to get enthralled about, besides the shallow gimmick of seeing “The Lion King” with more photorealistic animals – a novelty that can’t hold an entire film together. While you’re here, feel free to explore this website, it features lots of articles & Film/TV Reviews! 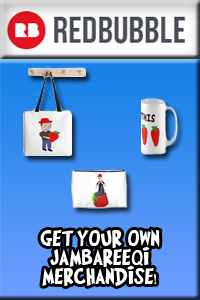 Also, consider subscribing by clicking the “Subscribe” button on the right hand side. 3 months ago, Aardman provided us all with a very ambiguous teaser for a new Shaun the Sheep movie called “Farmageddon”, with it’s only clue being a suggestion that the film would involve aliens. Yesterday, a brand new longer trailer was released for Farmageddon, detailing more of the story, while also introducing the extraterrestrial character Lu-La. Based on this new trailer, I can’t say that I’m intrigued all that much, as the whole “Protecting an alien and getting them home” story has been repeatedly done since E.T., and this movie doesn’t seem to be going beyond the template that E.T. set. It seems that the only twist here, is that it’s up to a young sheep to help the alien return home, but that’s not much of a stretch really, not exactly something that will open new doors for this formula. These feelings aren’t helped by my lukewarm reaction to Aardman’s last cinema production “Early Man”, a film that was just okay on the quality scale, could Farmageddon be in the same line? I really hope not, as Aardman is a fantastic studio that is keeping stop motion alive, I’d hate if they started losing their magic, it’d be a sad turn of events for claymation cinema. I say all this, but I wasn’t that impressed with the trailer for the first Shaun the Sheep movie upon release, it looked like a generic fish out of water movie, yet it was so much more than what was suggested, and maybe “Farmageddon” will surprise me too. Heck, Aardman has given fun takes on simple ideas before, from turning a chicken farm escape into an exciting thriller in “Chicken Run”, to exploring generational conflict in a Santa Claus adventure for “Arthur Christmas”, so why should we doubt Farmageddon’s ability to spice up it’s basic template? They have a track record of finding humour and drama in the most traditional of ideas. The Farmageddon trailer does feature a reference joke to E.T., so perhaps there will be some elements of parody here and there. One thing that I do like about Farmageddon at this point, is the colourful design for Lu-La, she has this interesting mix of dog and jellyfish to her! Plus she seems quite adorable, I can imagine myself maybe becoming attached to her, which will be vital to a story like this. Although, I hope that the film doesn’t go overboard with it’s culture shock gags or Lu-La’s apparent habit of repeating whatever she hears, these aspects could potentially ruin her character if not careful. For now, I’m feeling lukewarm about “Farmageddon”, this trailer didn’t really get me excited or eager, but my faith in Aardman is keeping me from fully doubting the movie’s success. Farmageddon comes out UK Cinemas on 18th October, and will arrive in the US on 13th December. No more vague teasers, Toy Story 4 finally has a brand new full length trailer out now, it introduces a plot in which Bonnie’s new favourite toy Sporky ends up leaving, so Woody chases after the little fella, only to discover the new whereabouts of Bo Beep. I’ve been defending this film for a while, insisting that it COULD justify it’s existence, because I believe that Toy Story movies have unlimited possibilities for storytelling, there’s still so many things that could be done with the right level of imagination (I mean, just look at the TV Specials “Toy Story of Terror” and “Toy Story that Time Forgot” to see great examples of the franchise expansion actually working pretty decently), but after seeing the trailer? I’m on the fence, I really am, it’s hard for me to fully support this film’s potential with huge confidence anymore. Why is this? Well, the film seems to be dominated with the same themes we’ve seen before: a toy not believing in who they really are and Woody having to convince them otherwise, Woody discovering a new part of the world that might draw him away from his child, Buzz leading the gang on a rescue mission for missing toys, and the challenge of facing change. We seem to be getting more of the same things, a film that treads over-familiar waters, perhaps for the sake of nostalgia bait or profitable safety measures, which is saddening. I was very excited when this trailer’s premiere was announced yesterday, eager to see the full scope of what’s been teased for so long, only to mainly feel a slight sense of disappointment, accepting that maybe this sequel really didn’t need to be made, and Pixar let me down after I stuck up for their ambitions. I say all this though, but the movie also seems to be entering new territories too, like how Bonnie can create her very her toy that’ll come to life, that’s a pretty huge aspect for a Toy Story film that’s never been done before! It’s the closest we’ve ever come to the birth of these sentient toys, but that might possibly open up a can of worms regarding the franchise’s fantasy, we’ll see. Heck, there’s also a brand new environment for the toys to explore, a fun fair! This carnival setting looks vibrantly colourful and might be inspiring some interesting set pieces involving rides & game stalls. This story backdrop seems to be a big selling point for the movie’s marketing, so perhaps the fun fair will be narratively utilized to the film’s advantage. At the same time, Bo Peep seems to have totally adapted to her new home, she’s maybe even happier here than when she was with Andy, and this does excitingly pop the question “Can toys REALLY move on?”. The Toy Story films have often stuck firmly to their happy endings, never letting characters truly face the prospect of leaving a child entirely. Yes, they had to say goodbye to Andy, but they comfortably moved into the arms of Bonnie straight after, so it wasn’t a change drastic enough to shift their whole dynamic, they’d still be playing games with a child in a safe cosy home. So, maybe, just maybe, Toy Story 4 will be the film that pushes our protagonists away from their comfort zones, giving us a film where Woody & Co. start living a life outside the norm for them, which would break the pattern of endings that these films have had so far. For now, I’m cautious and skeptical, unlike before, when I was one of the less pessimistic people, vouching for this sequel’s right to exist. With that being said, I still have a glimmer of hope left, as the movie is still showing signs of new concepts that seem exciting, plus this is still a movie that’ll give us closure for Bo Peep’s arc (who was vacant from the last Toy Story movie). Bo & Woody’s romance, which the previous films only flirted with for the most part, maybe meatier for this fourth film too, as Bo has her biggest role yet and will be sharing A LOT of screen time with Woody. Oh and to anyone wondering, I have no strong opinions on Sporky yet, he doesn’t seem that funny in these clips, but he also isn’t annoying, he’s only a small focus in the start of the trailer before everything centres on Bo Peep. Anyway, feel free to explore my website while you’re here, there’s lots of other written articles & movie reviews to read, just click the “writings” tab on the above menu. Toy Story 4 hits US cinemas on 21st June. When a little boy is feeling sick, his grandfather offers to read him a story called “The Princess Bride”, the boy isn’t interested at first, but the more he hears, the more engaged he becomes. This book centres on a commoner woman called Buttercup and a farmboy named Wesley, who are madly in love, but they can’t afford to marry, so Wesley goes off an adventure to seek fortune. When Buttercup sadly assumes that Wesley has been killed by an infamous pirate Dread Roberts, she reluctantly agrees to wed the smarmy Prince Humperdinck; who only wants to marry her to contrive a conspiracy. When a group of outlaws kidnap Buttercup, they are tracked down by a man in black and the prince. While the prince is far behind, the man in black comes face to face with the kidnappers, taking down each one single handedly through wit or strength. At first, we assume that this masked man is Dread Roberts, but when Buttercup knocks the man in black down a hill, he’s revealed to be Westley! Wesley is unfortunately captured by the prince though, who sends our brave hero to the torture pit of despair, where he is made to suffer. Luckily, two of the bandits from before, Fezzik the giant and Inigo the Spaniard, have become charmed by Westley, they want to work with him to break into the prince’s castle, so that Westley can save Buttercup and Inigo can avenge his father. I remember the first time that I saw this film, it was at my Auntie Helen’s, all the grown ups got excited to put it on, I was curious why all the adults were so giddy about a fairytale movie, but then I saw the film, and it became a favourite in my house. This is the magic of “The Princess Bride”, a fine example of doing family entertainment right, it speaks to everyone, no matter how old they are, because it has such a universal appeal, and I still love it to this day. It’s a film that exemplifies the term “Sometimes simple is all you need”, because it embraces it’s basic formulas for all they’re worth, with so much unapologetic devotion, celebrating love and condemning evil. While most films do attempt to rely on the bare essentials of storytelling to charm audiences, they end up becoming boringly average, but what sets “The Princess Bride” apart is it’s sophisticated execution, unique sense of humour, and sheer passion. The screenplay was written by the book’s original author, William Goldman, which could be a red flag for most, because authors tend to struggle to transition from text to screen as writers, but Goldman really excels. The dialogue is heavy, a driving force for most scenes even, but it’s not a bunch of monotonous exposition dumping, it’s all natural banter that helps develop characters or move the story forward. There’s a remarkable wit to the way characters talk, it’s smart and sassy, but never pretentiously smug. Whether it’s being delivered by a hero or villain, a line can kill the audience with it’s self aware irony; using smart vocabulary and rhythmic conversation to give us belly laughs. This is what makes the movie so quotable to this day, there’s so many iconic catchphrases and quips that can be easily used in everyday context for fun. But the film isn’t all talk, it can really bite when it comes to it’s action, providing a variety of confrontations, ranging from fantastically strange to physical combat; both of which are as exciting as each other to watch. The fencing scenes are swiftly energetic, but easy to follow, with genuine swordplay skills helping us believe in action, and director Rob Reiner always takes advantage of the sets to add gymnastics or danger to a duel. Our characters are straight forward in principle, but dimension is given to each one thanks to the genius writing, we love the good guys and despise the baddies; which is all audiences really need emotionally. Westley is noble but cheeky as our leading hero, Princess Buttercup is a strong defiant woman who fights her overpowering oppressors with her stubborn spirit, Inigo is charmingly enthusiastic about his revenge, Fezzik makes up for his lack of smarts with his big heart, while Humperdinck and his partner in crime Count Rugen are so much to loathe. The ensemble cast is perfectly chosen, maybe one of the best put together in history, as no one seems out of place, every actor seems like they were born to play their character, it’s amazing how well everyone fits their part. If you asked me to recast this film, I’d have so much trouble deciding, it’s just too finely chosen, you can’t alter such perfect casting, and you’d be bonkers if you tried interfering with that kind of magic. Even the damn minor cameos have been picked with the best person in mind haha! It’s the dry absurdist comedy that also gives the film a silly logic that surprisingly works, the film can get really goofy when it comes to how things tick haha! I never questioned the science behind anything, as I knew that this was set in a world with it’s own old fashioned crackpot ideas of the human body or technology, and it’s actually very funny. The film doesn’t use fairytale logic as a storytelling crutch, but rather satirizes it’s old fashioned quirkiness, it’s completely conscious of it’s nonsense for the sake of humour. Oh man, the romance in this film, I freaking adore it, never has a film been so spot on about the feeling of being in love, I totally buy that Buttercup and Westley are mad over heels for each other. The two of them are so adorable together, that it helps us to care about them reuniting, but it also makes us hate the villains for breaking them apart, especially Humperdinck. If you hate love stories, then you might not be into the romance, which I understand, but I personally love how this film celebrates true love. Lastly, let’s address the framing device for the film, a grandfather reading the book to his grandson, a plotline that serves as a host for the fairytale. These scenes are just as charming as the actual story being told, because they reflect a real situation that we can all immediately connect with, a parent or grandparent reading to their kid is something we can all resonate with. The framing device does interrupt the main story, but never inconveniently or pointlessly, because it gives us characters to share the tale’s most dramatic moments with, and there’s an arc of growth for the Grandson’s interest in the book. To Conclude, I really suggest that you see this movie, it has all the ingredients for a great film, including romance, action, comedy, history, adventure, and fantasy. It doesn’t matter if you don’t like one aspect of the film, there WILL be an element or plotline that’s for you, just be prepared to unlock your inner child in the process. My suggestion? Get together with your family and friends, grab some popcorn, put this film on, and get ready to have the most delightful fun you’ll ever experience. The upcoming Elton John biopic “Rocketman” has been given a new trailer that expands on the film. It shows off Taron Egerton’s take on John, his relationship with lyricist Bernie Taupin, the singer/musician’s fabulous stage shows, and his childhood in Middlesex. I’ve always been a huge fan of Elton John, not just his terrific songs, but also his wildly colourful stage persona (I wish I could have a wardrobe like his), so I’ve been interested in this biopic since it’s teaser. This new trailer gives me even more hype in the film, because it seems to be faithfully resembling the charisma of Elton, warts and all, not shying away from the man’s diva tantrums. Taron Egerton may not be a perfectly exact replica of John, but that doesn’t matter when the actor seems to be nailing the spirit of the rockstar, he’s really sinking his teeth into the role in the clips we’re granted to see. Jamie Bell seems to be bringing some down to earth sensitivity to his Bernie Taupin too, a great contrast to the loud boisterousness of Egerton’s Elton, I look forward to seeing how both actors will bounce off each other. More than anything, I’m super excited to see how the film pulls off the stage shows, that’s when Elton really shined as a character, this trailer gives us lots of clips from this aspect of the film, letting us see the campy glittery costumes in all their glory, as well as Elton’s love for putting on a performance even when he looks ill. Many folks have been comparing this film to last year’s “Bohemian Rhapsody”, the biography of Queen’s Freddie Mercury, but I can’t support this comparison as someone who hasn’t seen that film. It’s natural for both rockstars to have similar style biopics though, as not only are they both British, but they also share the same kind of magnetic stage presences (which one stole the audience the most is up for debate), and interestingly they happened to be good friends back in the day. Warner Bros. is adapting Dr. Seuss’ classic children’s book “Green Eggs and Ham” into a NETFLIX series, it’ll be executive produced by Ellen DeGeneres, with an all star cast including Michael Douglas, Diane Keaton, Adam Devine, Tracy Morgan, Eddie Izzard, John Turturro, Keegan-Michael Key, plus many others. I personally have no idea how this will even work? “Green Eggs and Ham” is a super basic setup for a very very short Children’s Book, it’s simply about a guy called Sam I Am pestering an unnamed character to try Green Eggs and Ham, so how can you turn this little material into a show worth marathoning? “Green Eggs and Ham” was already adapted into animation for the TV Special “Dr. Seuss on the Loose”, it was a really funny and funky translation of the short story, I wouldn’t say that it needed improving or expanding on at all, it was great as an 8 minute cartoon. Is every episode just going to be about Sam I Am annoying people to try Green Eggs and Ham? How many episodes can that even last before it becomes stale? As you may know, lots of Dr. Seuss books have been turned into feature films, many of which failed to work as movies, as they were using extremely simple premises to tell cinematic narratives. So, if feature adaptions have struggled to hold themselves together, what chance does a whole NETFLIX show have? Something that’ll be the length of 10 movies! I guess that these previous feature film translations mainly failed due to poor execution though, so it’s maybe unfair to say that Seuss’ books are inherently impossible to adapt into hours of content, it’s hard to say when I’ve never seen a Dr. Seuss movie that impressed me. Could Warner Bros. actually pull this off? Well, I think that it will take lots of expansive development, which is possible, it will just require some creative licencing with the source material that doesn’t sacrifice Seuss’ spirit. With so little to work with, so much will need to be added in or developed to flesh out the simple premise into a season’s worth of content, so a concern I have is that this product will end up losing the point of being an adaptation, because it has become so occupied trying to extend the book into the NETFLIX format. I did find a poster of all the characters, which admittedly grabbed my interest, I am LOVING the modernized Seussian handdrawn art style, it looks so damn charming! Plus all the characters seem to have well defined designs, I can read their personalities right away. It’s hard to say how the formula will play out as a NETFLIX show this early, but I can confirm that the visuals alone have caught my intrigue, so I am curious to see the end product, even though a big part of me is reluctant to believe in it’s high storytelling potential. When Patti asks Doug to the movies, with no other guests joining their outing, Doug becomes confused whether it’s a date, and if it is, how will he approach the night out? His schoolmates immaturely tease him, while his family overwhelms him with too much attentive support, but he just doesn’t know what to do. What I like about this episode, is how it truly captures childhood dating, it doesn’t overromanticize the story, this is how two kids would naturally respond to such a situation like this. When you’re young, dating is more innocent, plus you don’t fully understand the customs, so it makes sense that Doug would be conflicted about Patti’s invite. It’s also sweet that his loved ones want to be there for Doug, even if they don’t notice how it’s bothering him, their intentions are well meaning at the end of the day. I couldn’t help but smile at Porkchop pretending to be Patti in a practice date too, it shows that he’s a good friend to his owner, and it’s too cutely humorous how he plays along with the pretend date. After all the build up, the date finally happens, it’s actually really hard to watch it all play out, because we don’t know how things will go, I’ll admit that I had to kept pausing from the awkwardness haha! I could feel Doug’s fast heartbeats through the screen. I reckon it all works though, as this is what it’s like trying to work out someone’s feelings, it’s always a mind boggling cryptic game at any age. We never see things from Patti’s side of things, this helps us to put ourselves in Doug’s shoes, we empathise with his uncertainty, questioning Patti’s thoughts as much as he is doing so. It’s only when Doug abandons social expectations and assumptions, that the date starts to feel less tense, embracing the lesson that a date flows smoother when you relax into being yourself. After the movie, there’s still skepticism about whether it was even a date, plus we can’t tell if Patti intended for it to be a romantic experience, but it’s their crude attempts at reading each other that makes the final conclusion so cute, their shy sidestepping is too adorable for words. I can’t help but see my own life’s “Does she really like me?” moments in this last act of the episode, the writing is that identifiable and true. To Conclude, this is a very endearing coming of age episode of Nickelodeon’s “Doug”, it wonderfully reflects the innocence and naivety of childhood crushes, never trying to frame it in glamorous light to pander to fans. If you are after a big dramatic romantic episode of Doug, you’ll be very let down; but keep in mind that this isn’t supposed to be a sweeping love story, it’s a realistic take on innocent young love. When Jimmy tries teaching the pendulum effect to his class, everyone is bored to death by how unexciting his demonstration is, so Miss Fowl encourages him to rush through the experiment, much to the pleasure of his classmates. Jimmy is then upstaged by Nick, who puts on an atmospheric presentation for his Show & Tell, as he details a ghost story about a phantom who haunts the theme park “Retroland”, and everyone is blown away by the spooky tale. Annoyed that Nick’s show & tell got a better reception than his, Jimmy takes on the dare to prove that the phantom is an urban myth, and he drags Sheen & Carl along as witnesses. This episode pretty much uses the Scooby Doo formula, but with no self awareness about it, so it just becomes a retread of what made old Scooby Doo episodes so predictable, because anyone of any age can immediately guess who is hiding beneath the Phantom’s mask. It makes for a boring mystery, as each “twist” comes as no surprise, especially when there’s only 10 minutes to work with (That’s half a Scooby Doo episode). However, the joke that the last pretend phantom was Jimmy’s mom was kind of funny, because she’s the least likely character to pull off this kind of stunt. Why is Jimmy’s mom pretending to be the Phantom? Well, in order to trick his parents that he’s sleeping, Jimmy left a holographic illusion of him snoozing in bed, but the hologram machine glitches, and it ends up displaying Jimmy hanging out in his school playground. I get that this is a way for Jimmy’s parents to clue in on Jimmy’s sneak out, and it’s a setup for the joke that Jimmy’s dad thinks that his son’s playground is in his bedroom, but why would Jimmy even need to have a hologram of him playing in the school yard for his bedroom? I can’t imagine a situation where that would be helpful or beneficial! Just have the hologram machine shut down, then it’ll reveal that Jimmy is not in bed, simple as, don’t over-complicate things to contrive humour. I know that this show thrives on cartoon logic more than actual science, but Jimmy’s inventions need to at least make contextual sense in the series’ universe. But putting aside the bland mystery and confusing mechanics behind Jimmy’s hologram machine, the episode does at least have a good message for Jimmy, teaching him that he shouldn’t use his science to ruin people’s fun, and that silly urban myths can be enjoyed by even the most scientific of people. Cindy, a character who is almost as intelligent as Jimmy, says that she can put aside science to have a bit of fun, pointing out that no one actually believes in the Phantom, they just want to get into the spooky spirit of a campfire style story. It’s good to use science to be sensible and logical, but letting it spoil everyone’s fun just makes you look like an annoying party pooper. To conclude, “The Phantom of Retroland” is rather repetitive, rushed, and predictable, but I appreciate the lesson it sets out to teach, plus there are some funny moments that don’t rely on forced humour; like when Carl plans to confess to Jimmy that he’s joining the French Foreign Legion to get out of sneaking out. I can also imagine younger kids being creeped out by the phantom, with his neon lit skull faced mask lunging into the camera, it wouldn’t surprise me if you were scared of this episode as a kid. It’s just, Jimmy Neutron is fully capable of doing really good horror themed stories, like the episode “Nightmare in Retroville”, that was a great campy tribute to classic monsters, so this episode has no excuses to be such a boring let down.